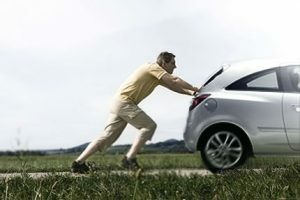 Petrol and Diesel fuel shortage ! Motorists facing fuel shortage after being stranded on tiny Scottish island which has run out of petrol and diesel ! Sorry ,we’re out of petrol and diesel ! 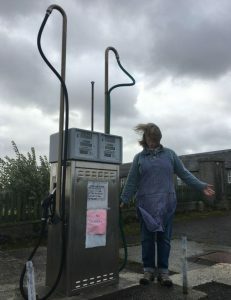 The filling station in Papa Westray, Orkney was forced to bring in rationing when deliveries were cut. But the pumps finally ran dry ten days ago — leaving the 90-strong population worrying how they will make their meager supplies last. And the problem got worse when bad weather meant a planned delivery from Kirkwall on Tuesday had to be scrapped. A recent change in haulage laws saw the island’s normal delivery of 2,000 litres cut to just 40 litres a week. Residents discovered the portable fuel bowser they had used to transport petrol was no longer deemed suitable when they tried to re-order three weeks ago. 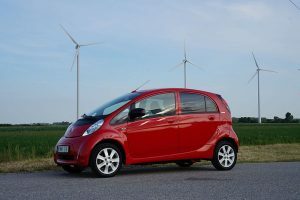 Eco cars based on Mainland Orkney has seen a recent rise is drivers looking to EV’s and ‘ditching the dino pump’ as ICE drivers are getting ‘range anxiety ‘ ! Many of our customer have their own wind turbines or PV panels , so filling up an EV from the wind or the sun, makes so much sense ! Hybrid & Electric vehicles for sale Tesla Model S, Mitsubishi I-Miev electric,Citroen C-Zero,Peugeot I-On, Nissan Leaf,Mega City E ,Renault Kangoo ZE van,Renault Fluence ZE,Toyota Prius Hybrid, Hybrid vehicles for sale Toyota Prius T Spirit.